The world leader in automated filter weighing technology, MTL autohandlers are able to deliver accuracy of weighing filters from gravimetric Pm analysis at a level not possible by manual weighing. Filter weighing autohandler and controlled rooms and cabinets to make dust filter analysis more accurate, precise and automated. Specialist filter weighing rooms designed to control temperature, humidity and airflow to facilitate the best gravimetric analysis. 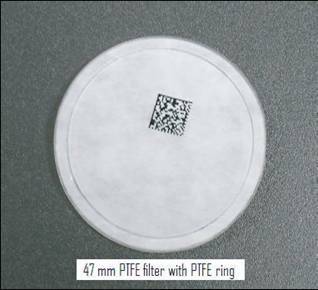 A range of filter media for air quality monitoring. MFAB, PTFE, Quartz and others with our without support rings & barcode and alphanumeric codes. Software to control filters in the laboratory and in the field. Contrls auto handler and controlled atmosphere cabinet and weighing rooms.